Make mom breakfast in bed for the holidays or Mother's Day with our Kitchen Kids Cranberry Muffin Recipe from "Kids Creative Chaos Cooks Cookbook" full of recipes to mix and make with minimal adult supervision. Holiday Cranberry Muffin Recipe. Easy for kids to make. Toast Muffins in toaster or toaster oven. Open the cranberry sauce and slide it out of the can. 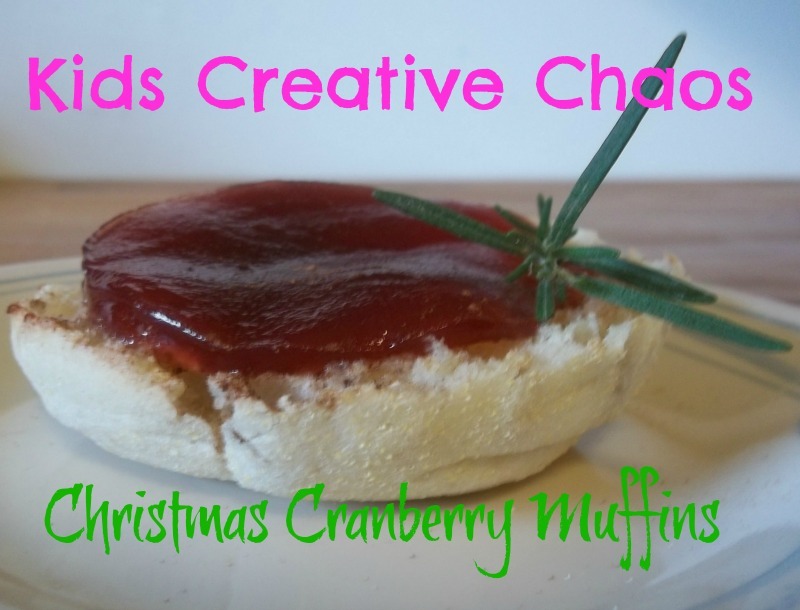 Place cranberry slices on muffins. Sprinkle with brown sugar and a dash of cinnamon. Place in toaster oven or on a cookie sheet in a warm oven at 375 degrees for 5 minutes. Easy-To-Do Holiday Crafts From Everyday Household Items! : Including Crafts for Halloween, Thanksgiving, Christmas, Valentine's Day, Easter, and Every Day of the Year!